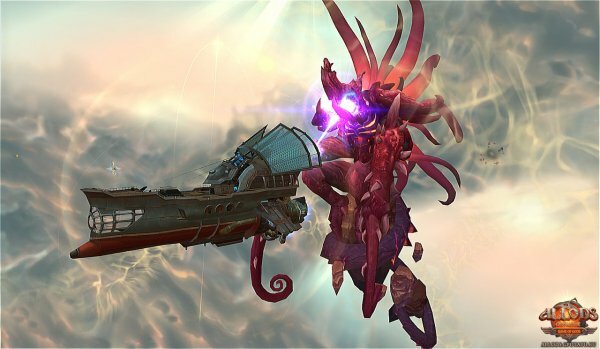 Allods Online just celebrated its first anniversary in May and this free to play MMORPG from Gala-Net is still going strong, even with one or two hiccups along the way. We asked a few questions to Lori Bray, Producer of Allods Online Europe about the past, present and future of the game. Here are her answers. What assessment do you make of the first year of Allods Online? The past year has been pretty incredible in terms of the exchange of ideas that have passed between us in the Allods Online team, the players within the game, and the developers at Mail.ru Games in Moscow. This three way flow of communication has allowed Allods Online to evolve into a much stronger title. With each update and expansion we’ve been able to introduce loads of amazing new features, offering players everything they could want from a MMORPG, for free. Now that the novelty factor of the game has worn off, how do you see the current playerbase in Allods Online? Is it as you predicted? Perhaps the most surprising thing about Allods Online players is how fiercely dedicated and devoted they are to their game. While most MMORPG audiences have a notorious reputation for being fickle and flighty, many of our players have been with us since the very beginning. Some of our guild leaders have been on the project from the very first day of closed beta. It’s humbling to see how much love the players have for the world and the lore, and how much time they spend creating fan videos, art or guides to help new players. Looking back, what were the main challenges you had to overcome to keep Allods Online as one of the most popular MMO games? Coming into an MMORPG in this day and age, many players were expecting a certain level of ease of playability that simply didn’t mesh with the design aesthetic of the game. Part of what makes Allods Online great is that it has a certain nostalgic value to it, taking players back to a time when they could play a game for years and not expect to see all the content. But after several years of experiencing many popular titles that explored a more single-player aesthetic, where every player, no matter how casual, could expect to reach end game content, many were shocked and a little put off by this throw back approach. Finding ways to combine modern, accessible gaming aesthetics, which lean towards casual, short term gaming sessions, or at least gaming sessions with multiple actions within them, while still keeping the nostalgic aesthetic of challenging gameplay that emphasised cleverness, teamwork and skill, was a challenge that our developers tackled head on. I believe they’ve achieved it with this update, easing players into the world with intuitive questing systems while leaving a layered and complex experience at end game. Is there a decision, design or otherwise, that in hindsight you would prefer not to have done? 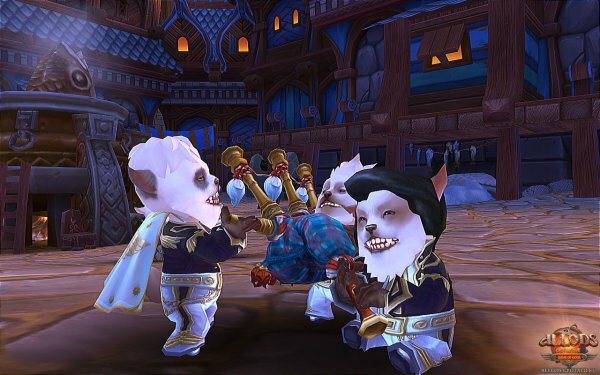 The big controversy that surrounded Allods Online in the EU was Volume 1: Revelations of Gipat. Although we reacted quickly to community feedback, and had daily quests offering key boutique items as rewards in the game within 8 weeks of the expansion’s release, it still had a huge impact on the community, and the good faith we had built up until that point. Ideally, if I could go back, the boutique quests would be available on the day that Revelations of Gipat was released. The important thing is that the community informed us that they were unhappy with an element of the game, and we were able to react quickly to amend it. We’ve worked hard to be reactive and sensitive to the needs of the diverse and multicultural community in Allods Online, and will continue to do so. In the face of the evolution of the game, I believe this has and always will be the correct way to move. You’ve just released a new update, Astral Storm. What major additions does it bring? The major features of the latest Allods Online: Game of Gods update, Astral Storm, can be divided into two categories: features for new players and features for established characters. Brand new players can avail of our new mentor system, and are automatically paired with a high level mentor of the same class at level 6, who will answer any questions they might have about spells or abilities, quests, levelling, guilds, and so on. The mentor benefits as well, gaining a commission of goodies based on the amount of gold, special coins, or special items their apprentice earns. There’s also a newly revamped, fully integrated questing dashboard, with the map and questlog combined into one window, and a new automove feature, which will help players move exactly to where they need to be in order to complete their next quest. Established players can avail of two new features in their astral ships: the Astral Treasure Hunt, and the Astral Caravan. The Astral Treasure Hunt is a dynamic daily event where players engage in free-for-all, ship-to-ship PvP in bid for some of the most precious treasure available in in the astral! As more ships appear to vie for the treasure, Astral demons appear to add even more chaos. The Astral Caravan is something that, on the surface at least, seems calmer and safer. Astral ship captains can choose to load up on cargo to deliver from one point to another for a bit of gold. But the Caravan trails are always the same, and are subject to demon and pirate attacks alike, so fierce Astral PvP and PvE battles erupt along the paths daily. How are you dealing with the eternal discussion about the cash shop? How do you qualify the balance in Allods Online between purchasing items and progressing solely by gameplay? This is actually a very simple question to answer now – as well as having several key items available for free in the game via daily quests (for example, a boost to your statistics, or food for your mounts), Allods Online also offers an in-game currency exchange, where players can exchange gold for Boutique Coins. Boutique Coins can be used within Allods Online exactly in the same way as gPotato, so in that way, gold can earn a player whatever they could want from the Boutique. On top of this, we also have a team of community managers running events each and every month that award players who participate with boutique items like mounts, costumes, or even Boutique currency itself, so they can choose their own prizes. With these three techniques, we help make sure that even if a player doesn’t ever have gPotato on their account, they can still access the Allods Boutique in game with their character. It diffuses much of the debate before it even begins. What do you have in store for Allods Online during this year? Our immensely popular in-game holiday destination, the Tropical Atoll, is going to return very soon. There will be great prizes – including costumes, fireworks, and a limited edition mount – waiting for players who complete the relaxing contests and participate in the numerous events that we put on. We’re also looking forward to releasing a new type of NPC that players will be able to recruit into their party later this summer – more details on that in the coming weeks.